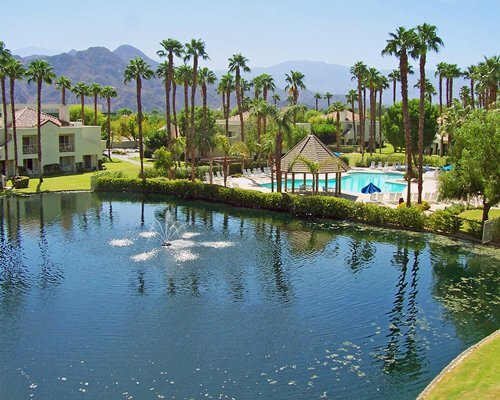 Desert Breezes Resort is an ideal vacation destination set on a beautiful, manicured, landscaped property, which includes a sparkling water feature in Palm Desert, California. 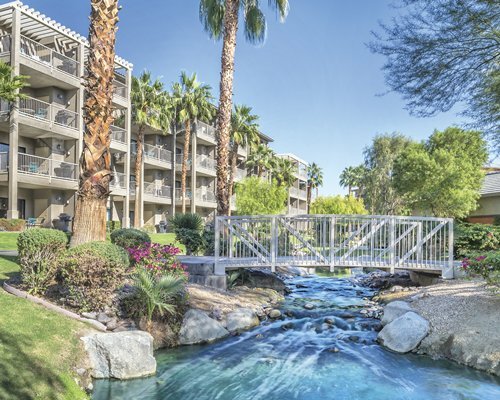 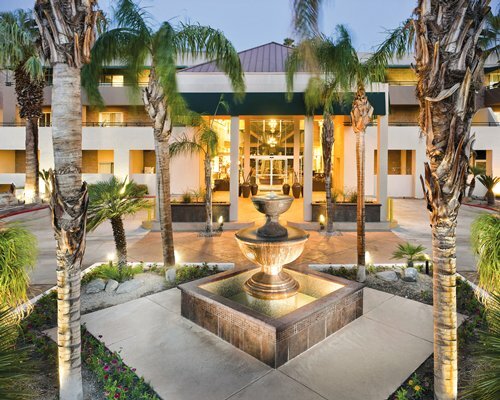 An oasis at the base of the Santa Rosa Mountains, Desert Breezes Timeshare Resort pampers you with luxury. 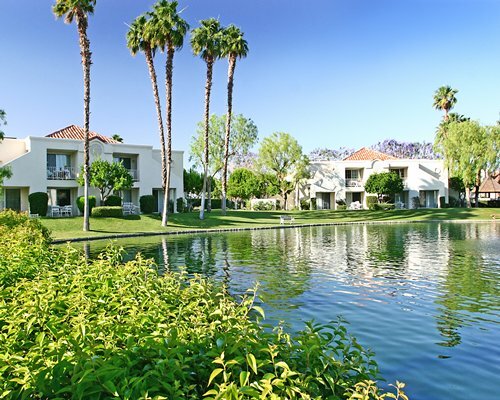 The condominiums are surrounded by lush green lawns, colorful gardens, and a small lake with a decorative fountain. 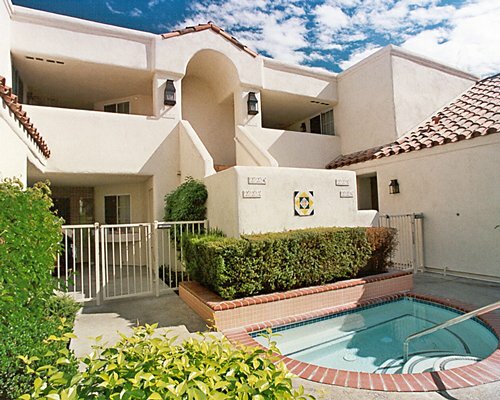 Tennis buffs will love the five courts available within the complex, three of which are lighted. 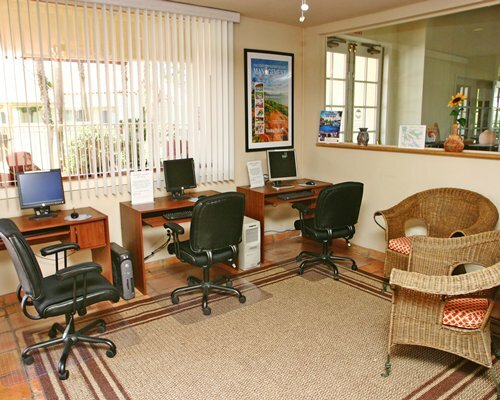 A recreation club with exercise equipment is also available on-site. 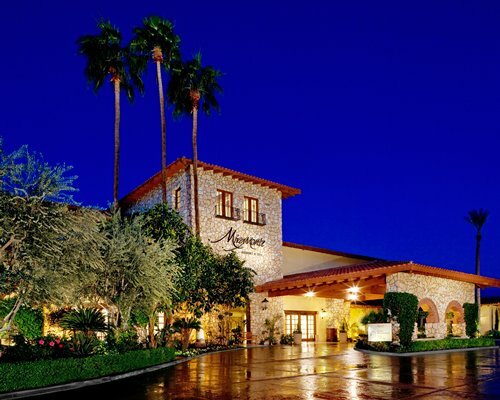 The resort boasts three pools and 10 spas. 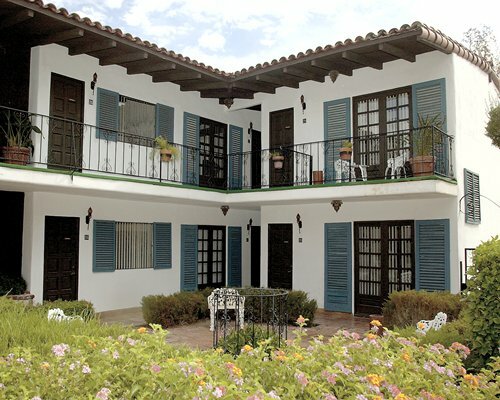 Choose a studio, 1- or 2-bedroom accommodations. 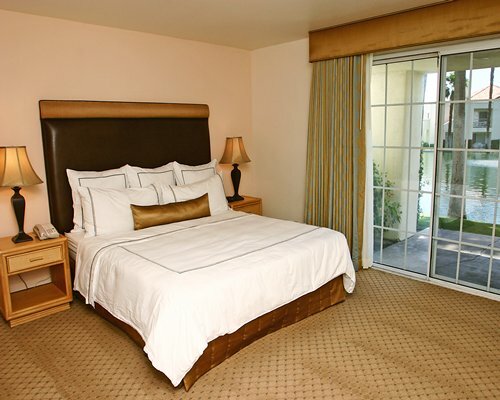 The studios offer a partial kitchen and enough space to comfortably fit 4 guests, while it is ideal for 2. 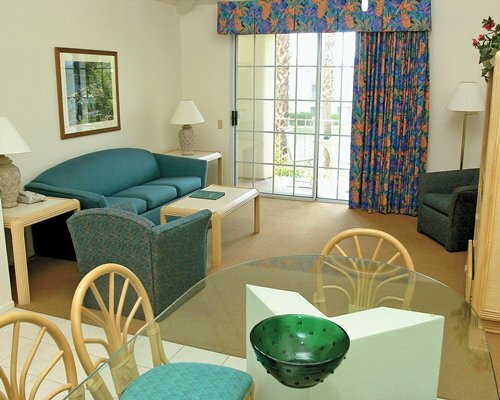 The 1-bedroom units have full kitchens for your dine-in needs as well as a full bath, perfect for 4 guests staying at our lovely resort. 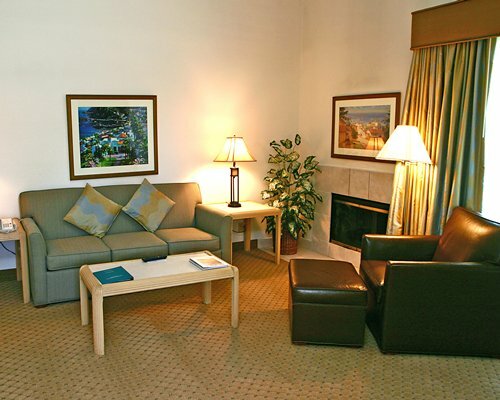 Stay in one of our 2-bedroom suites with a fireplace for those chilly nights. 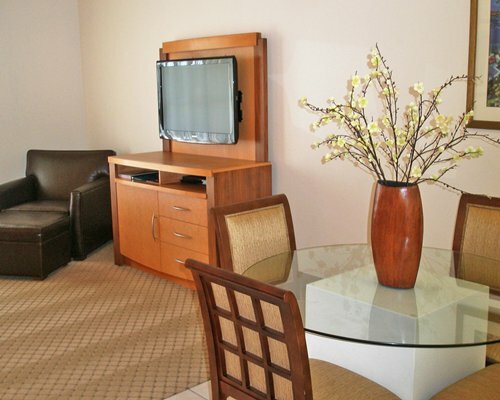 Each room is equipped with carpeting, telephone, microwave, and air conditioning.